Getting Your Planner Ready For Christmas! Hello friends! 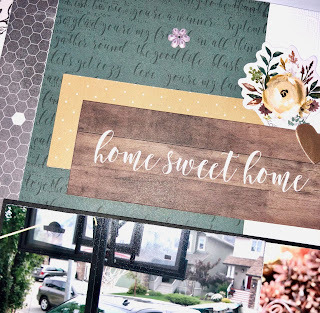 It's Karla back with one more post using some of the fabulous new products available in the Scrap Shotz Store - Kaisercraft First Noel Collection and the Sizzix Tim Holtz Thinlets Die Swirling Stars. 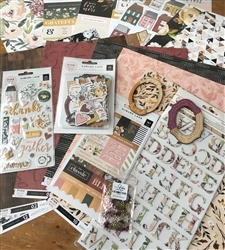 Everytime I looked at the Kaisercraft Sticker Booklet all I could think about was how awesome it would be to decorate my planner for December - there are over 800 stickers in it! 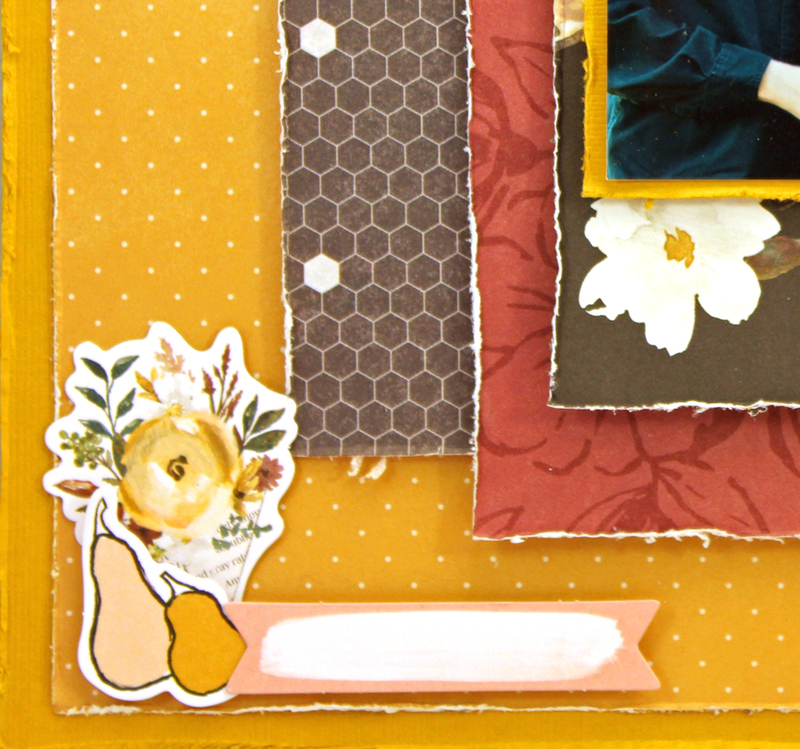 I used lots of stickers along with the beautiful First Noel papers and some diecut ephemera pieces as well. I cut one of the 12x12 papers and punched holes in it to fit right in my A5 Personal Planner, making a little tabbled divider. The diecut ephemera pieces were great to use with some large paperclips to tuck into the planner pages. I used the gold numbers from the sticker booklet to number each day and cut out some of the images from the paper, using coloured pencils to add some colour. The black stickers and sentiments from the booklet were great to add directly onto each day. I even added stars using the Sizzix Swirling Star diecuts as a stencil with some Distress Oxide Ink. I added some doodles and the Christmas Eve sticker from the 12x12 sticker sheet. A little red star cut from the Sizzix die set adds another pop of colour. Now my planner is ready for adding in all the fun December details as they arise! Thanks so much for stopping by! If you haven't checked out the last two posts featuring these fun supplies, you can find them HERE and HERE. 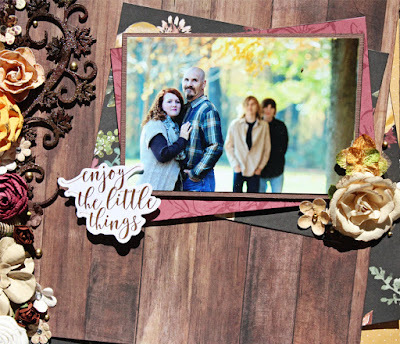 Be sure to head over to the Scrap Shotz store to check out the Kaisercraft First Noel Collection and the Sizzix Tim Holtz Thinlets Die Swirling Stars, and don't forget you can always browse what's new HERE! Have an awesome, crafty week! Pretty In Pink - October kit! 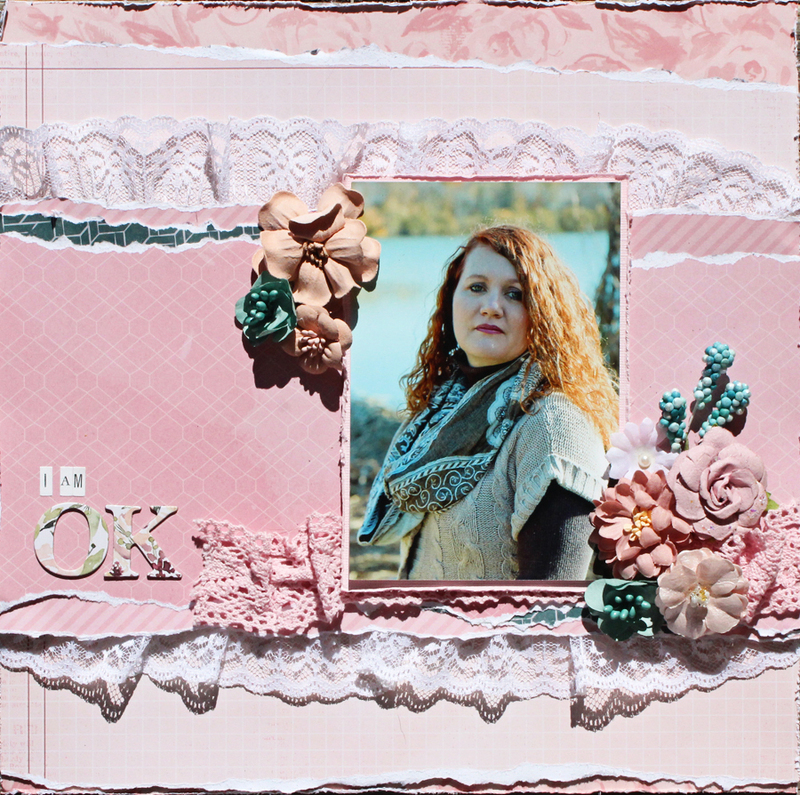 Although the colours in this months kit are fabulous for all your fall photos there is also beautiful pink papers! to add a bit of colour I added some of the teal paper and a few teal flowers! Hello friends! 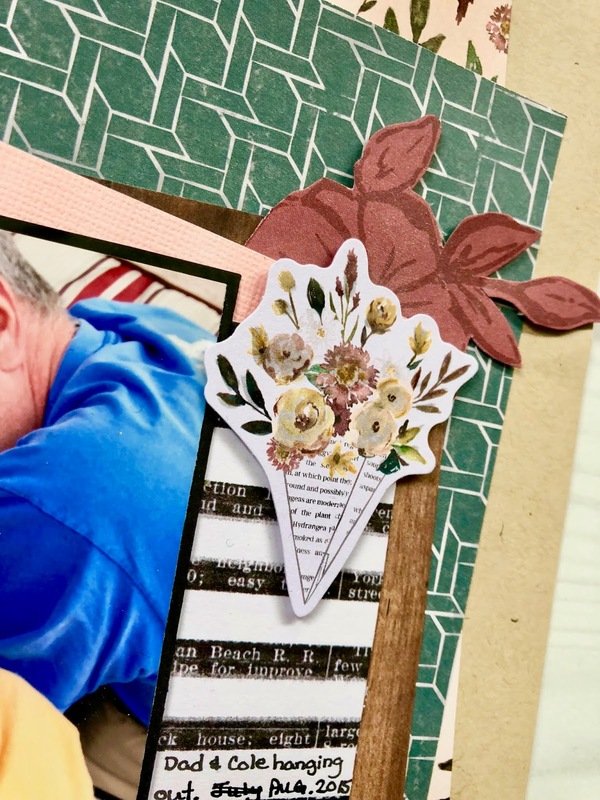 It's Karla back today with more fun projects using Kaisercraft First Noel Collection and the Sizzix Tim Holtz Thinlets Die Swirling Stars - both new products in the Scrap Shotz Store! These fun supplies are going to be awesome for your Christmas crafting! If you missed the post where I share a video closeup of all these products, along with a layout and three cards, click HERE. Today, I'm sharing this sweet Christmas layout of my daughter's Kindergarten nativity pageant where she played Mary. I thought this paper was just perfect with the three wisemen printed directly on the background! I'm using the October Sketchy Challenge from Creative Scrapbooker Magazine, and you can see the process I used in the video below. 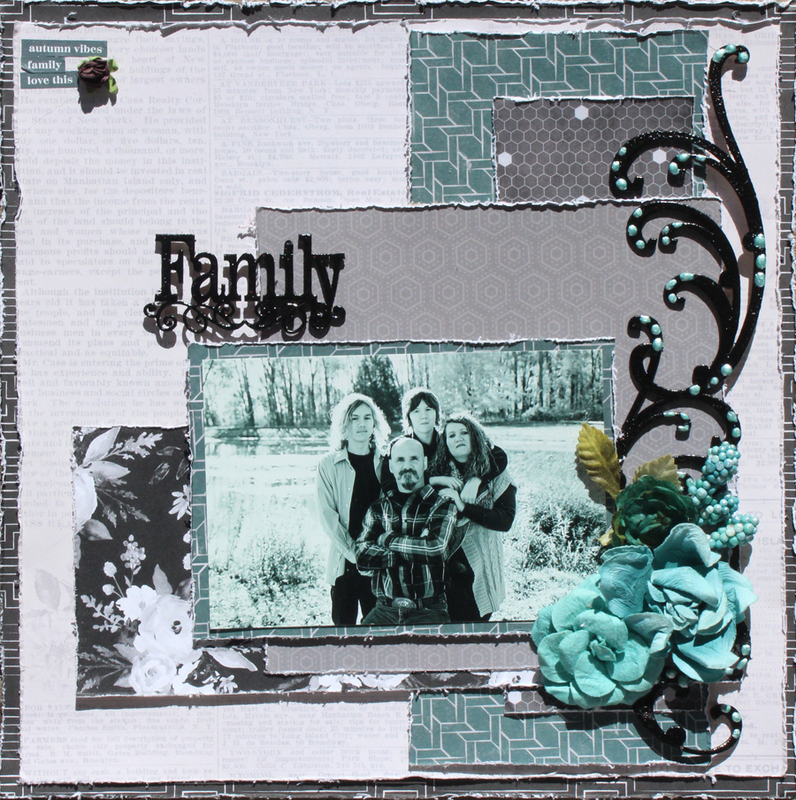 There are so many fun elements to layer in this collection- papers, stickers and diecuts!! 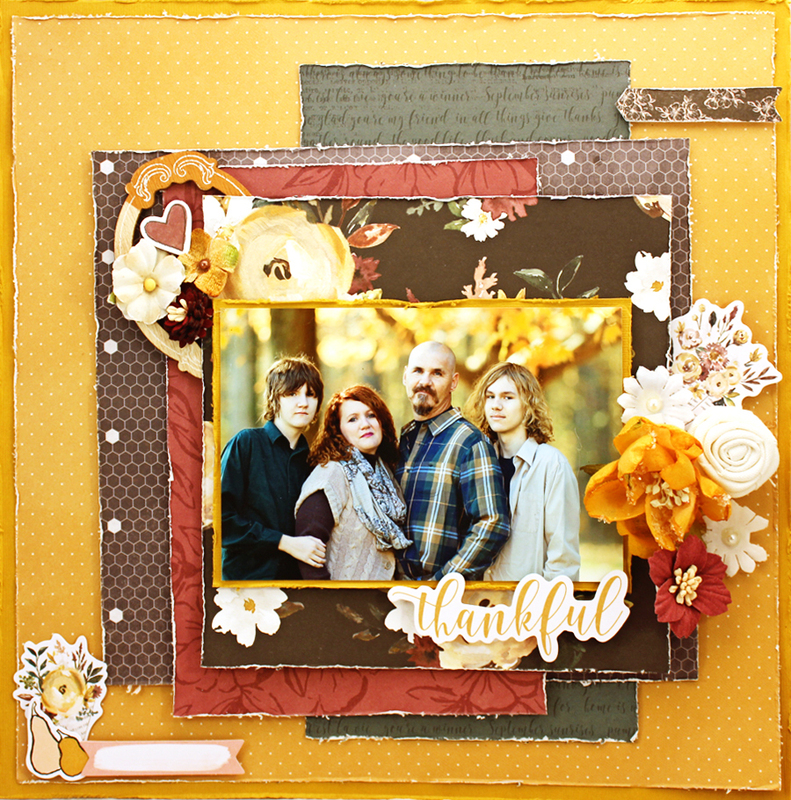 I added a border sticker from the 12x12 Sticker Sheet across the top of my photos and then layered a 3x4 card from the cut apart sheet with leafy stickers from the Sticker Booklet and sweet bird diecuts from the Ephemera Pack. The Swirling Star dies are so fun to use, just as you would sequins or enamel dots - simply glue them on wherever you like! The sticker booklet has lovely sentiment stickers - I layered one directly on the photo on the left and one under the photo on the right. I wrote my journaling directly on the page, using the grid pattern as a guide. Thanks so much for stopping by today! 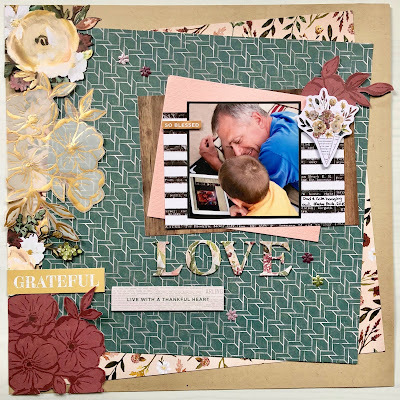 Be sure to head over to the Scrap Shotz store to check out the Kaisercraft First Noel Collection and the Sizzix Tim Holtz Thinlets Die Swirling Stars, and don't forget you can always browse what's new HERE. Have a fantastic, crafty week ahead! This kit is packed full of product, a great value at $35.95 for a 3 month subscription! 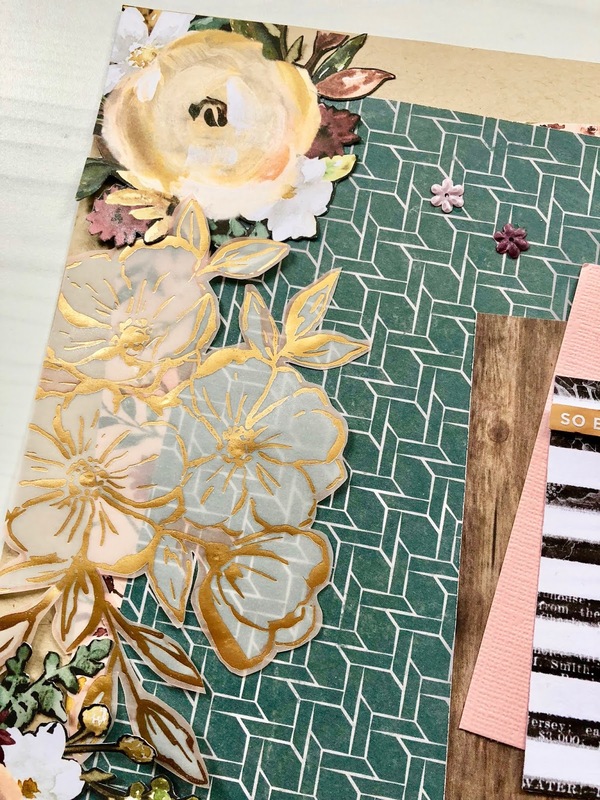 I fussy cut the florals from 2 different sheets of patterned paper and the gold foiled vellum, layering along the left side of the layout. 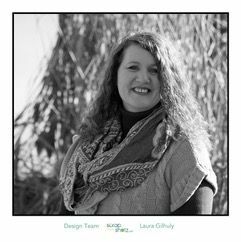 The best thing about a kit is that all the products coordinate well together making it easy to mix patterns when creating the project layers as per the sketch. The accents are from the kit puffy stickers, stickers, ephemera and Studio Katia floral sequins. I have used this design in the past, it is inspired by a Simple Stories layout and is a great way to mix patterned papers without overwhelming the photos. 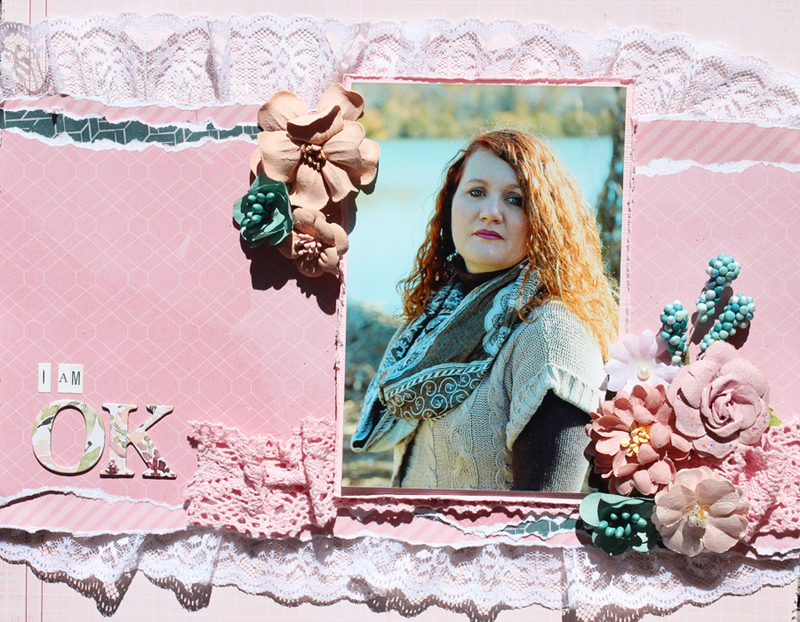 The pink flower at the top is one of the kit sequins, the rest of the layout is accented with kit stickers and die cuts. Thanks for stopping by and taking a look, I'm working on a series of thank you cards utilizing this kit I hope to share with you over the next few days. New Product Reveal with Karla! Hello friends! 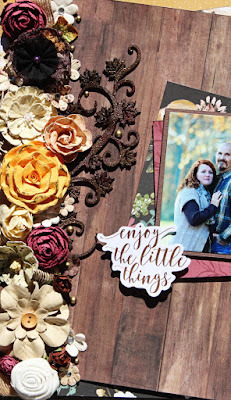 It's Karla back today with a look at some beautiful new products in the Scrap Shotz Store that will be perfect for your Christmas crafting - the Kaisercraft First Noel Collection and the Sizzix Tim Holtz Thinlets Die Swirling Stars. 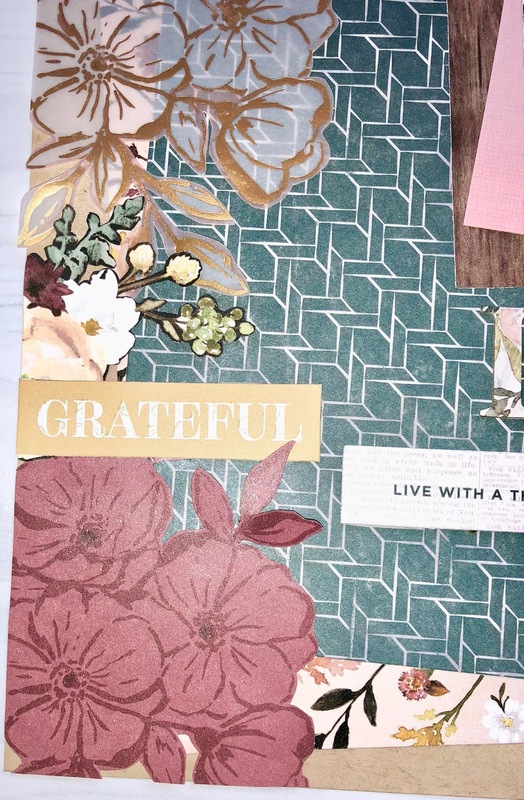 The colour scheme of these papers, stickers and diecuts are so elegant! The 12x12 Sticker Sheet has so many beautiful stickers! I love the package of diecut ephemera 💛 The sticker pad has over 800 stickers, and they are going to be perfect for all your Christmas craft projects. 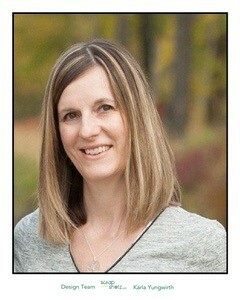 And, the Sizzix Swirling Stars dies will be awesome to use all year round! I had so much fun creating with these supplies! First up was this layout of my daughter when she was 3 at Christmas. She looks so adorable in her little green dress and curly hair! I used some of the ephemera diecuts to layer on the background paper and added some fussy cut presents and stickers. 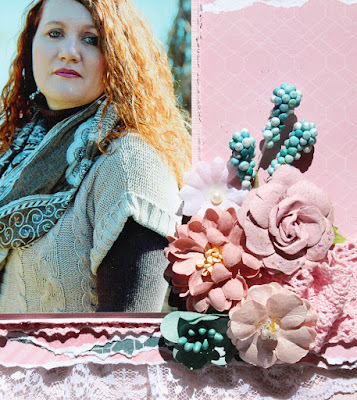 There are really so many fun options for layering! I diecut one of the swirly star dies from a stitched circle diecut using kraft cardstock. These dies are so cool because they create a negative image. You also get several small star dies in different sizes and shapes which I used to cut some glittery green and red cardstock from. 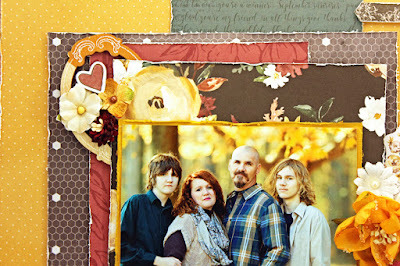 I love the background paper with the beautiful ornaments printed right on it. I layered my photo on top of various other scraps of paper to create a messy frame. I even used the star dies to cut into a corner of my layout, adding a triangle of kraft cardstock and backing it with the green border I used around the layout. Next, I wanted to make some pretty Christmas cards using all the beautiful supplies I showed you above! I diecut oval shapes from ivory cardstock and layered them over different papers and then used fun foam to pop up the oval cut out layer for dimension. 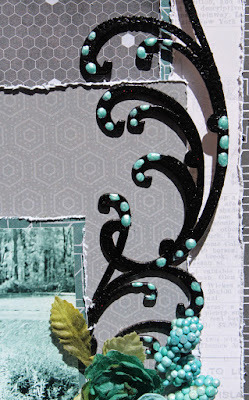 For this card I used a tree and stockings from the diecut package and added a sticker from the sticker booklet. 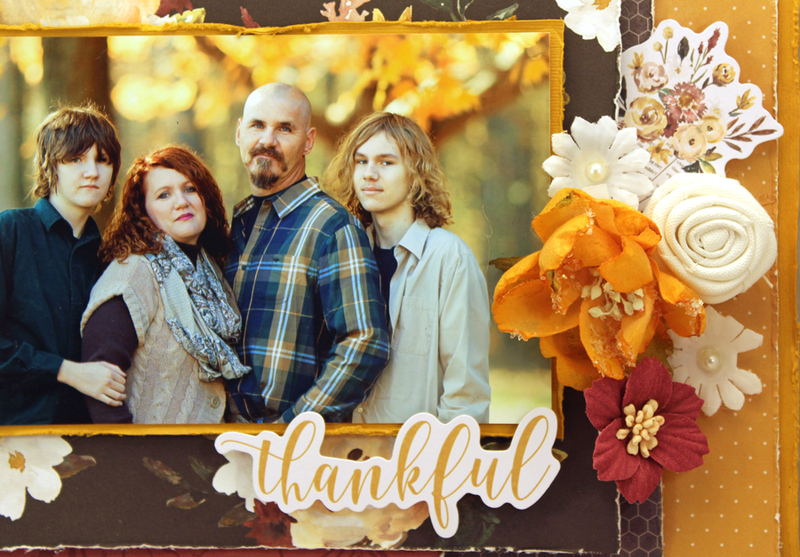 I used the three wise men cut apart card from one of the 12x12 papers as my focal image for this card and added stickers from the booklet and a sentiment from the diecut package. Inside each card I added a sentiment strip and added a circle sticker on each envelope, again from the sticker booklet. I used an angel sticker and some diecut trees for this card. Left over stars from diecutting yellow and kraft papers added lovely details to the cards, inside and out. Thanks so much for stopping by! 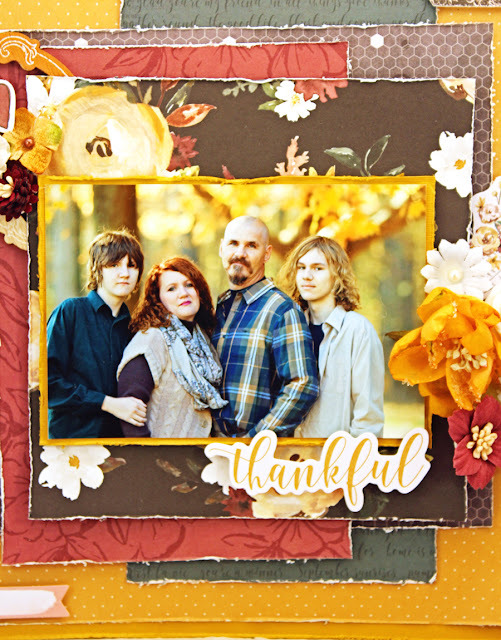 Be sure to head over to the Scrap Shotz store to check out the Kaisercraft First Noel Collection and the Sizzix Tim Holtz Thinlets Die Swirling Stars, and don't forget you can always browse what's new HERE! Have an awesome weekend friends! 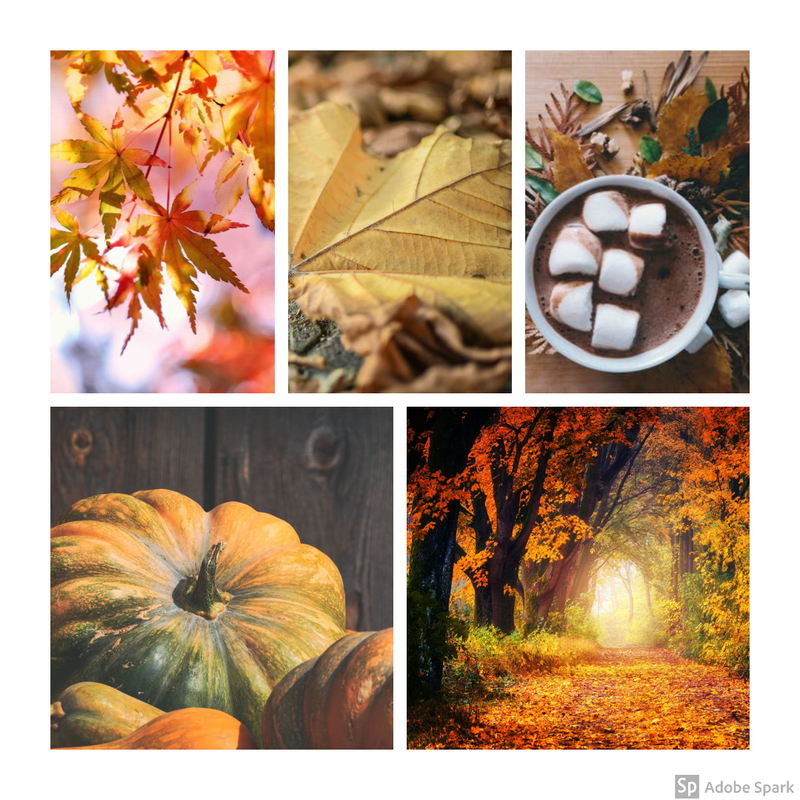 More from the October kit! The gorgeous chipboard from Southern Ridge trading company and the fabulous kit from Scrapshotz go great together! I started by layering the fabulous Pink Paislee papers and chose the wonderful color scheme to carry on to the awesome Southern ridge chipboard! I embossed the eye catching flourish in black then added some teal liquid pearls to accent the swoops! I added some flowers from my stash! 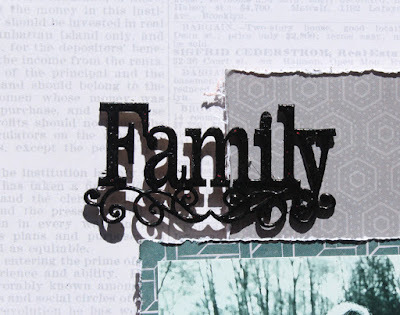 I embossed the family title in black too! It is definitely fall here and this months kit id perfect for your autumn photos! This months kit included a sketch I made and here is an example of it using this months wonderful kit! 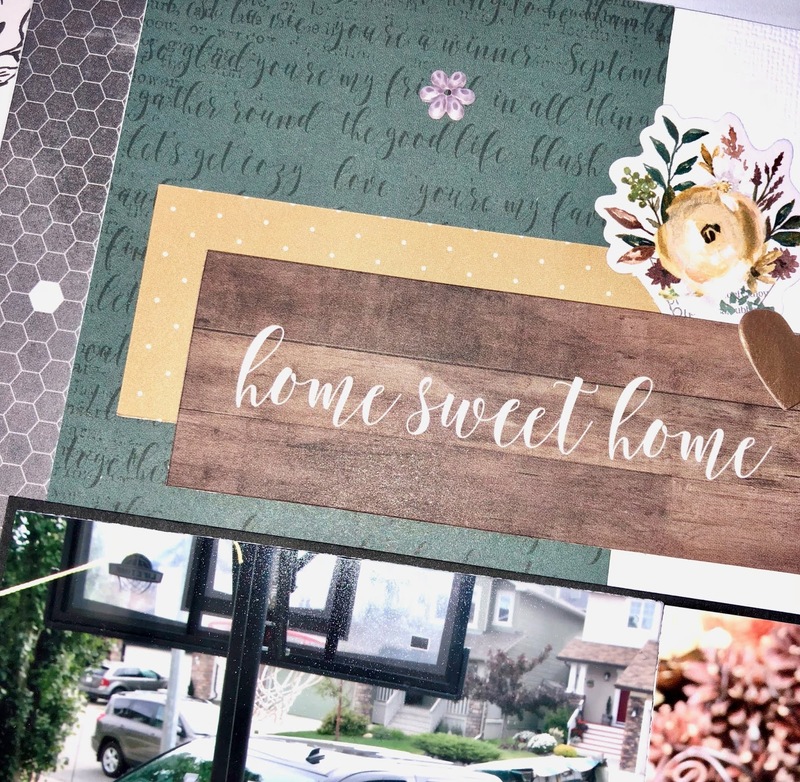 I used 3 sheets of the paper and scraps I had left from a previous project! 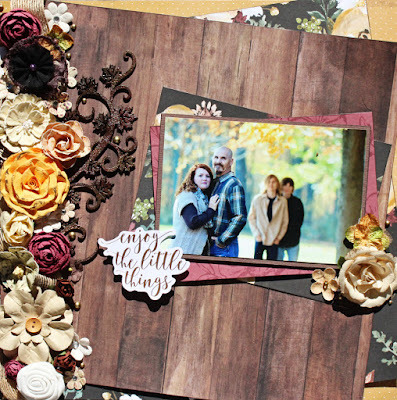 The title piece is perfect for the layout! I used a piece of shipboard from my stash, added flowers from previous kits and product showcases and some from my stash. I also crumpled up ribbon in there!!! 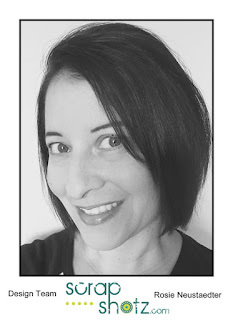 Can't wait to see your interpretation! I was excited to see this months kit - full of beautiful fall colors! A couple of years ago my family had a beautiful fall photo session done which is perfect for these papers! I adore those little wood frames....perfect accent! 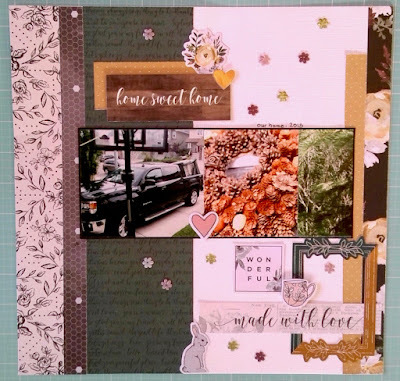 I was inspired by this months Scrap Shotz mood board challenge! 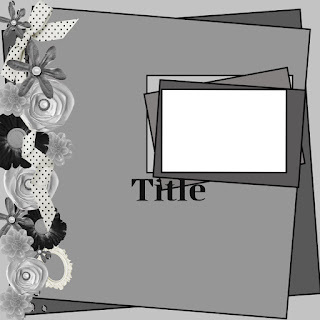 A $15 gift certificate to the store is up for grabs, to be entered in the draw, share your project in the comments on the FB post here or Instagram, tagging @scrapshotz and #scrapshotzchallenge.